This week’s roundup of new iPhone cases features wallet cases from Bellroy, Danny P., and Sewell, battery cases from Wirelessky and Kodiak, a gorgeous armband from Griffin, and more. ...plus, wallet cases and more! This week’s roundup of new iPhone cases features wallet cases from Bellroy, Danny P., and Sewell, battery packs from Wirelessky and Kodiak, a gorgeous armband from Griffin, and more. The 3 Card Phone Case (iPhone 6; $65) sports a sleek design that includes room for up to three credit cards and some cash. 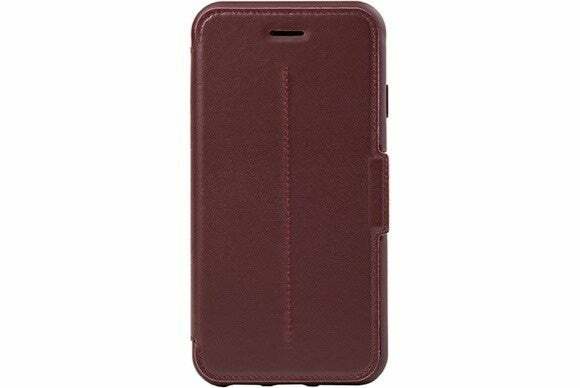 Made with full-grain leather and flexible polycarbonate, the case includes opening for the iPhone’s buttons, camera, and Lighting port, features a soft microfiber lining for extra padding, and comes in black, java, tamarillo, or blue steel. 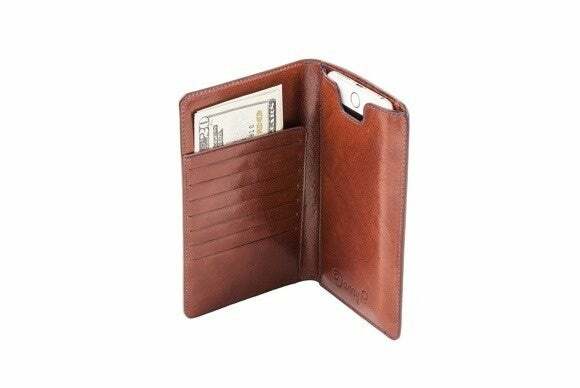 Manufactured with naturally treated leather, the Leather Wallet (iPhone 6 Plus; $129) is an elegant alternative to your wallet with plenty of protection from everyday hazards. 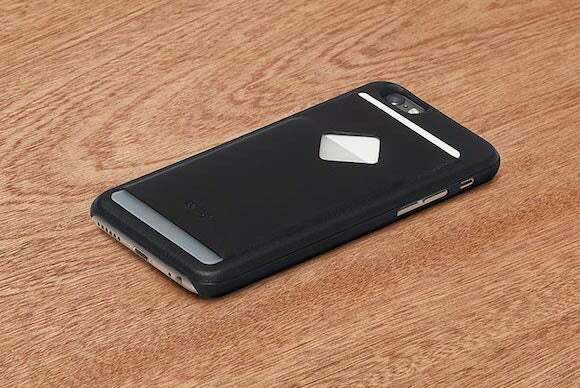 The case sports a slim design, includes seven credit card slots and a cash compartment for bills of different sizes, and sports a natural velour lining that adds padding and keeps your iPhone clean. 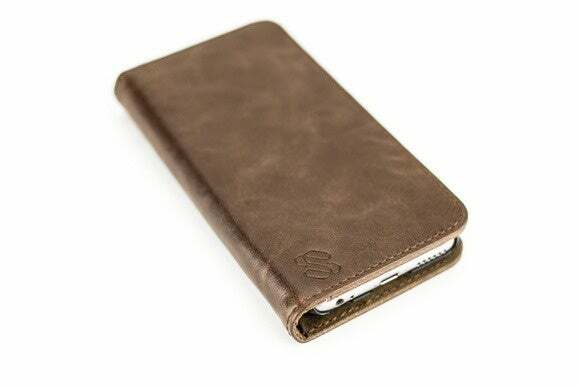 The Leather Wallet comes in dark brown, brown/blue, or black. Runners know the importance of a good workout band for their iPhone, and the LightRunner Universal Armband (iPhone 4/4S, 5/5S, 5C, and 6; $40) seems to fit the bill. 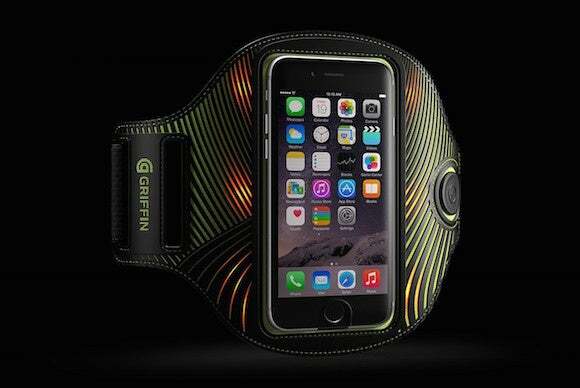 This neoprene band cozily wraps around your arm, securing your iPhone in a hybrid rubber enclosure. 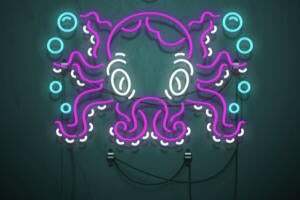 The armband features LED piping that illuminates when dark for visibility and safety at night, sports a velcro closure for an easy fit, and offers access to your touchscreen through its transparent window. 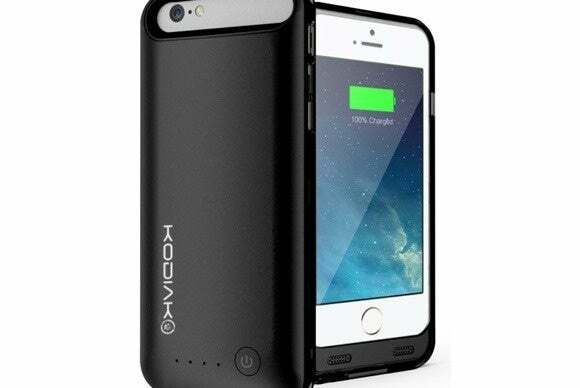 The Power Suit (iPhone 6; $70) doubles your iPhone 6’s talking and surfing time with a powerful 3100-mAh battery. 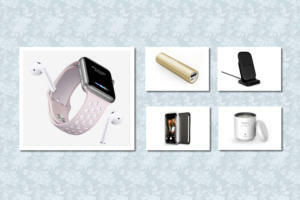 The Power Suit includes a built-in screen protector, features a battery charge indicator on the back, and is available in silver, black, or gold. Certified to withstand all of the bumps that come with an active lifestyle, the Strada (iPhone 6; $50) features a genuine leather enclosure, with a versatile screen cover that holds a credit card or cash. Available in two themes (Chic Revival or New Minimalism), the case includes a polycarbonate outer shell, a magnetic latch to secure its cover into place, and generous cutouts to access all of the iPhone’s ports and buttons. 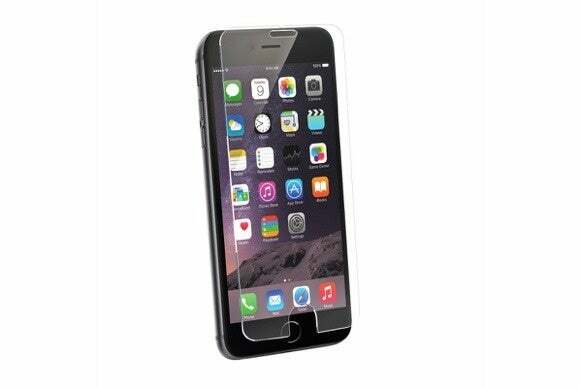 The Tempered Glass (iPhone 6 and 6 Plus; $30 to $34) is a precision cut, crystal clear scratch-resistant screen protector, that is sure to keep your iPhone’s display smudge-free. 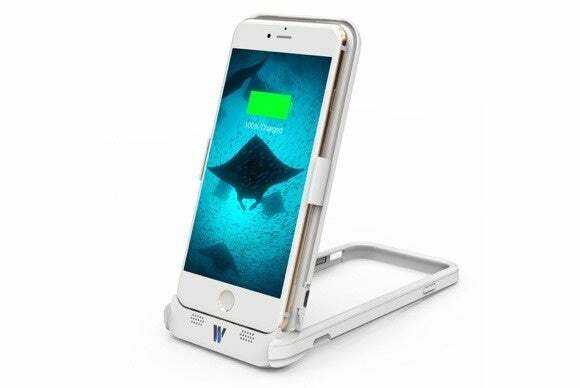 Manufactured with Japanese tempered glass, the screen can be quickly installed and removed without trapped air bubbles or residue, and prevents damage and cracks to your screen. The Monk Magnet Wallet Case (iPhone 6; $35) features a detachable magnetic shell inside a brown or black wallet case. Made with synthetic leather, the Monk Magnet comes with two credit card pockets and a photo ID holder with a transparent window, a cash compartment, and a cutout for the iPhone’s back-facing camera. It is also available in a genuine leather variant, without the removable inner case. 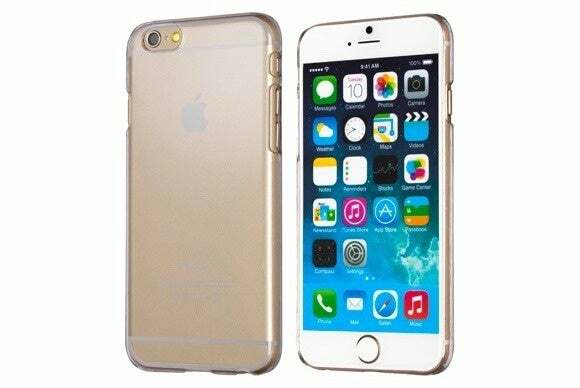 The XS (iPhone 6; $18) sports a transparent design that minimizes damage from impact while showing off your iPhone 6’s beautiful features. Manufactured with rigid materials for extra protection, the XS provides precise cutouts for your buttons, Lighting port, and headphone jack, and includes a wide camera opening for glare-free picture taking. The Esorun (iPhone 6; $50) offers a complete protective solution that combines additional battery life, a kickstand, and a charging dock. The Esorun is MFI certified, doubles as stand in portrait orientation, includes a powerful 3500-mAh battery designed to double your talking time, and comes in white, grey, gold, or black.